Floorwashes are an integral component of the Hoodoo and Conjure magical traditions. They combine actual physical house cleaning with spiritual and magical work, effectively killing two birds with one stone. They are potent yet discreet and perhaps the single most effective use of multi-tasking within magic. Although the liquid is called floorwash, technically it refers to the final rinse used to clean a floor or other interior surfaces. It should not be removed but allowed to air-dry, so that its power radiates into the surrounding atmosphere. In other words, the floor should be clean before applying the floor wash. The radiant power of the botanicals is what is crucial: floorwashes are a component of many spells for a variety of purposes, including protection and romance, in addition to their obvious value as a space cleansing device. 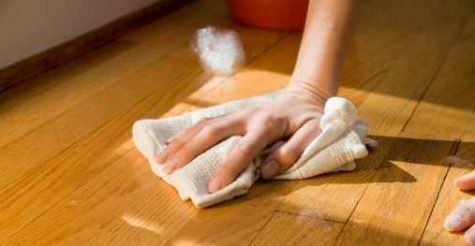 A floor wash is made by adding specifically chosen herbs, oils, crystals, and other ingredients to water and then using the solution to wash a surface. The reasoning behind this practice is to infuse the surface with the vibrations of the wash, so that it will then attract or dispel the corresponding energies. For example, if you were owed payment for services and the check was late, you might want to wash your mail box with a money-drawing wash. Fill a bucket with warm water. Add the magical infusion together with some white vinegar. Create the infusion and pour it into an empty bucket. Pour enough boiling salted water over it to fill the bucket. Add some white vinegar. More recipes for magickal waters and washes can be found at the Magickal Apothecary. Traditional methods call for you to scrub the floor on your hands and knees. The repetitive motion and low concentration level needed allow for a shift in consciousness to take place. Incorporating a chant as you wash will boost the powers of the wash and help your goal to manifest even faster. Remember to be as specific as possible in the wording of your chant. Keys were traditionally made of iron. Consequently, it made good sense to touch a key whenever danger threatened. Keys were considered lucky, and commonly placed under a child’s pillow to keep him or her safe while asleep. To find an old key is magical. It is said that the finder will experience spiritual mysteries and have prophetic dreams. They will become a channel of communication between heaven and earth. A rusty key is a good omen, as it indicates an inheritance. Wearing an old-fashioned key will unlock spiritual doors. Perform spells with identical keys, which are then worn by lovers to protect their relationship from infiltration. A key given to a lover who is going far away will keep you in his or her heart. When lovers exchange keys, it is believed that they are unlocking each other’s hearts. It symbolizes love and happiness. In Japan, three keys tied together create a powerful lucky charm that attracts love, health, and wealth. 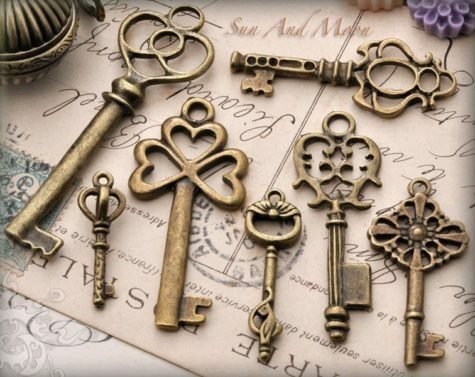 Keys can also be used as a magickal charm or talisman when something needs to be unlocked in some way. For example, Jewish midwives put the key to the synagogue into the hand of a woman who was about to give birth, in the hopes that the association would help the baby “unlock” the door of the womb. Keys were also buried with people in order that the gates to the Underworld would open easily. It is considered bad luck to drop a key, and even worse luck to accidentally break one. To break a key is an unfortunate omen: it predicts a broken relationship. It is also considered bad luck to jangle bunches of keys on Wednesdays. However, jangling keys can avert the evil eye, and this can be done on any day of the week. Losing keys is considered an omen of some disaster, usually involving a death. Information collected from a variety of sources. Gaining access is always an issue in spellcraft. Doorknobs often provide an innocuous and subtle way to influence another person. 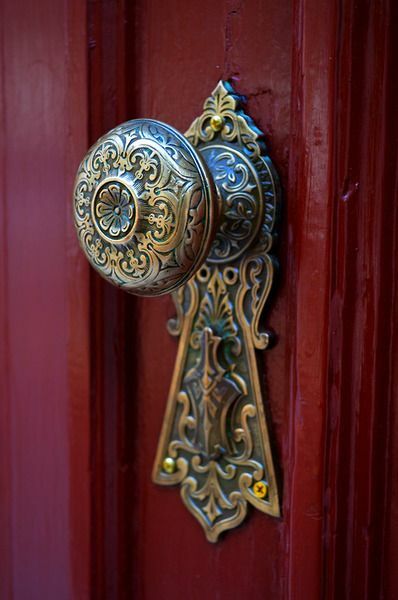 Doorknobs can also be used in personal rituals to open metaphorical doors. Rub a small dab of coconut oil into a doorknob and as you turn it, make a wish concerning something or someone you wish to access. Carry a doorknob with you when you feel that too many doors are closed in your life. Continue to carry until you feel things opening up. This is one of the most magickal modern ingredients. 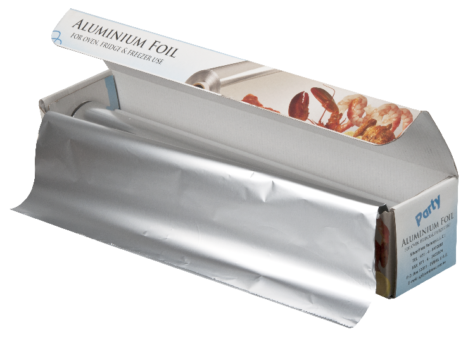 Tin or Aluminum Foil makes a better pouch than cloth to hold magickal ingredients because it magnifies their properties and magnetizes the prayer into manifestation. Use it to make ouanga bags. 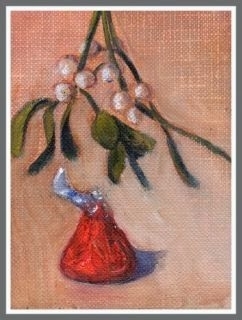 Take a small square, fill with herbs or flowers of your choice, and fold up tightly. Place it in a wallet, or carry it in your pocket over the heart.